It was a beautiful sunny day, and not as warm as last year. Thank god. I think I am getting a little jaded after 4 years because I was able to walk through the entire place before going back and collecting my must haves. In years prior I started gathering right away. The crowds also seemed a little thinner than years past and there was no line at the bar! 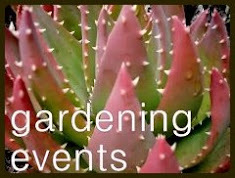 Yes, there is a winery nearby that sets up shop at the nursery for the event. Darn good wine too! 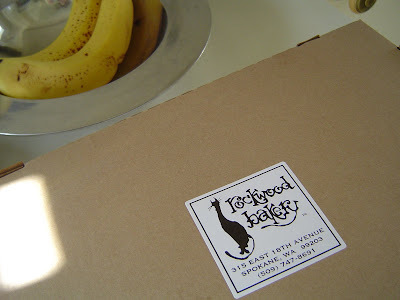 We toured, tasted, collected the must haves, paid and stashed the goods in the car. 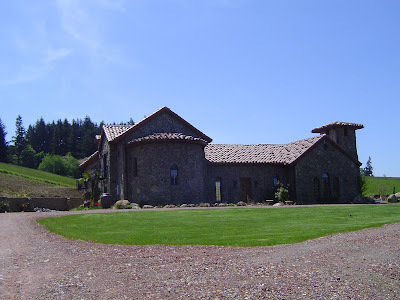 We then walked up to the owner’s home on the hill, or should I say the castle on the hill. The owners have been building for the last 4+ years. 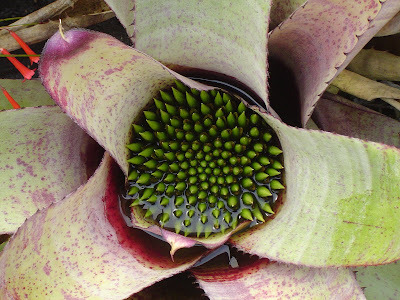 There are some amazing plants around the home, like these Bromeliads and Sago. We had the fortunate timing to walk into their patio area just as the female half of the ownership offered to tour a couple of other ladies through the home and asked us if we would like to join. We got to go inside! There is a huge unfinished southern facing courtyard (surrounded by the home on 3 sides). I asked what they planned to do with the space and she said they would be adding a brick wall and glass roof to enclose and create an atrium. 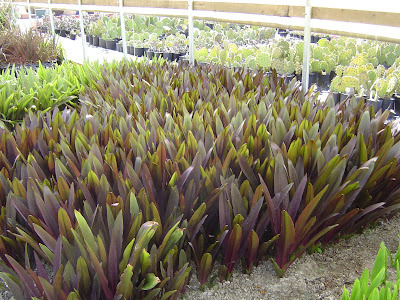 Then all of the fabulous not-for-sale plants in the first greenhouse would be going into the space. It will be amazing! 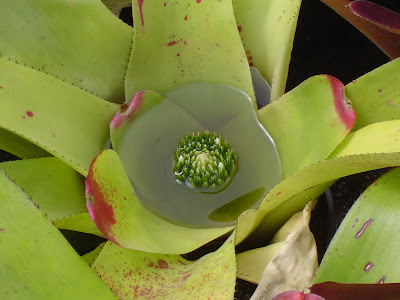 I had managed to pass on an Aeonium ‘salad bowl’ (above) the first time through the green houses, but after seeing them around the castle in several places I decided I had to go back and get one. So after that purchase it was time to head out, only 2.5 hours after arriving! Before leaving I did get to meet Megan from nest maker and her mom, finally I get to put a face with the blog I’ve enjoying for months now! 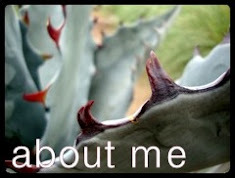 What I had to have: an Agave parryi, it’s cold hardy, I’ll put it in the ground. 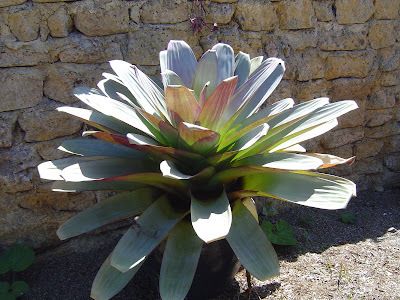 An Agave filifera, I needed to add this beauty to my collection! Echeveria hybrid ‘afterglow’…the color is so wild, I think it may even glow in the dark! 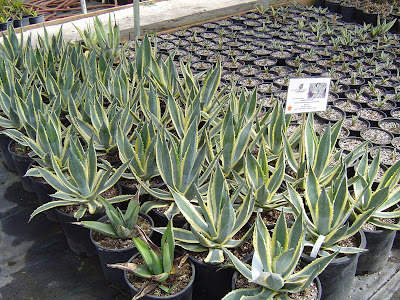 Agave attenuata ‘Veriegata’, I loved the pair in the pot together, and they have a very slight variegation, beautiful. 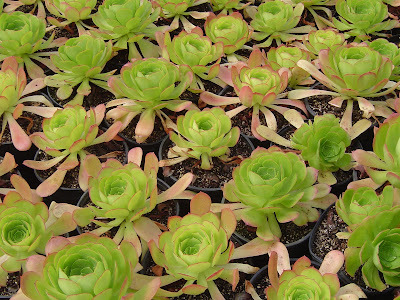 And the Aeonium ‘salad bowl’ (pictured above but not here as I bought it later). My other two purchases either weren’t labeled (not odd at RPR since they are not usually open to the public), or I couldn’t read the sign. The name Maridot Tescuttenta verigata ‘tropical tapioca’ (upper right) doesn’t match up with anything I can find online. It gets an amazing orange flower (mine has a bud) anyone know what it is? I talked with a fellow who bought one last year and reported that it multiplied and his one is now three, so maybe my three will become five? 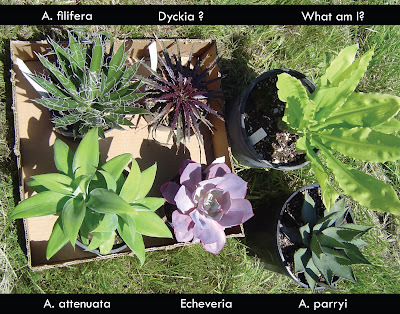 And the plant with no label (top middle – dark), I believe it is a Dyckia but I have no idea what variety. 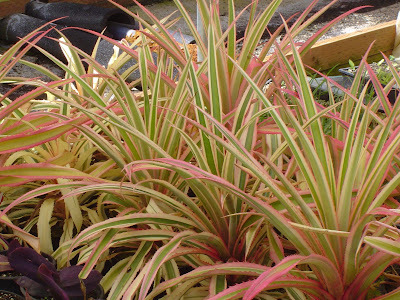 I love the burgundy color and I have a chartreuse pot just waiting for it! 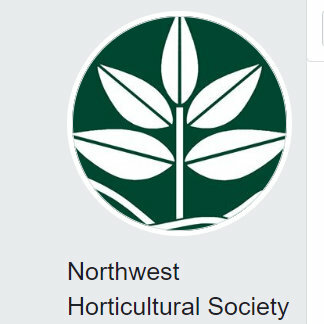 What a fun plant sale that must have been. 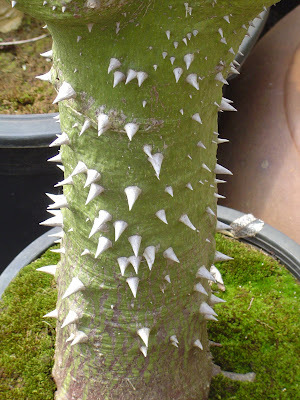 As for your mystery plant, the only variegated tropical tapioca I've seen looks like this (click on the link). Dee at Red Dirt Ramblings grows it in a container. But it doesn't have an orange bloom. 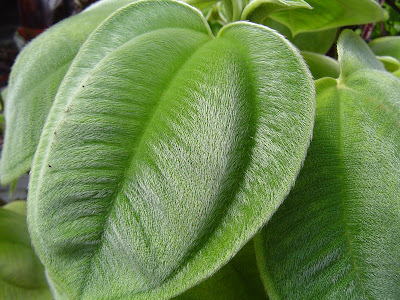 What your plant really looks like is donkey ears, but it lacks the dark coloring of that plant. I'll be interested to see if your other readers can ID it. It's funny, I forgot for a minute I was looking at someone else's pictures. I was curious to see how many photos we would have taken that were the same. Turns out just a couple. Yours are better framed, I got a little wild and didn't manage to work around the signs in a lot of mine. I didn't make it up to the castle, but I guess it makes sense they're saving those big jungle looking plants for their own place. There was some incredible stuff in there. 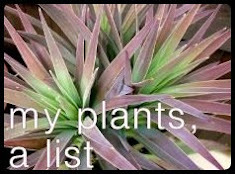 Pam - The link you gave is all I could find too and it certainly isn't that plant! You know I remembered as I was reading your comment that there were a couple other signs I actually moved because I knew they were with the wrong plant. Who's to say that wasn't the case here, too! I guess there is room for a little mystery in the danger garden. 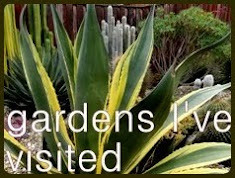 Megan - I'm so glad to read you bought more than just the agave attenuata, I would have been amazed at your control, and a little disappointed. I really hope they will let us in the atrium once it's done, god I would love to have that at my house! I had to run to Garden Fever on Sunday to get a pot for the Salad Bowl, I wasn't real good at remembering how many empty ones I had at home. Amazing to see what grows in your area. Most of these would be veeeeeery tender in our climate. 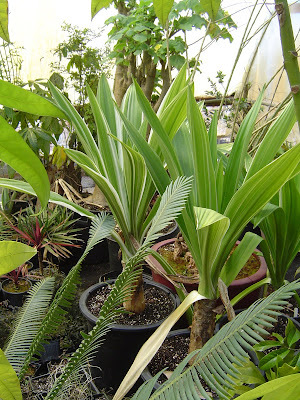 Perhaps overwintering -- in a large greenhouse. Wish I had one of those! Helen - I am sorry, I think I've mislead you. 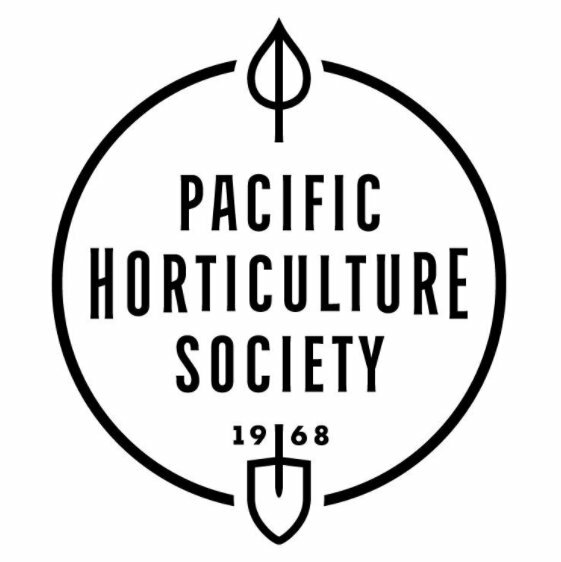 Most of the plants at RPR need special planting circumstances here in Portland, or to be in a pot. 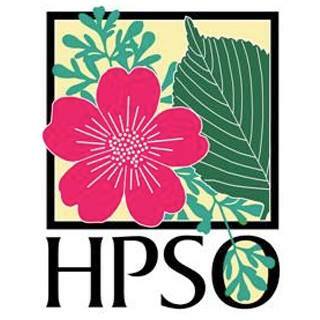 Something to take in or under cover in the winter months. We get so much rain in the winter that it is death to many borderline hardy plants. As for the large greenhouse, oh ya! I want one too! Hey, not too shabby, I think both you and Megan showed remarkable restraint. Then again, I can't see the price tags. 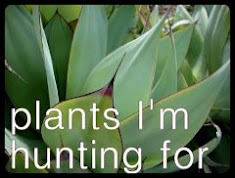 :) You guys are up for waaaaay more plant babying than I am, but I'll enjoy your spiky treasures from afar. Dunno on the mystery plant but don't the leaves remind you a bit of banana plants? 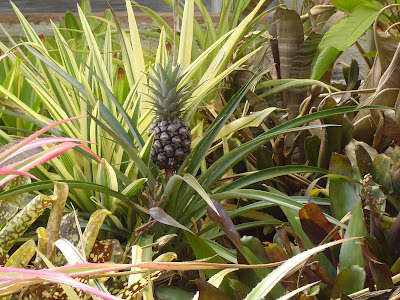 I think you will need a greenhouse someday and hope you get to put a pineapple in there. Aren't they hilariously cute? I was so surprised when I saw them growing on the ground in Hawaii, I always imagined them in trees somehow! 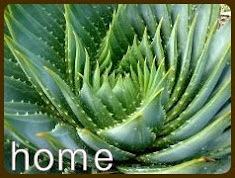 I am glad you bought the Aeonium ‘salad bowl’. It look so much like roses. I love the colour too. That's a beautiful nursery and castle too. Btw, about the crape myrtle flower, I did not smell anything when I always there. So, no, probably the flowers do not have strong smell. Your photos are beautiful d.g. 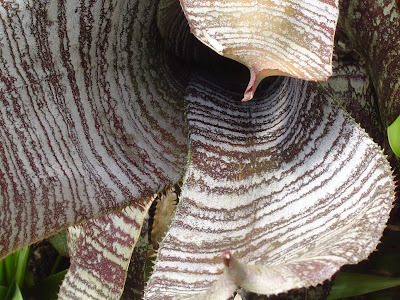 - I love the closeup of the purple (maybe bromiliad?) with the crosswise wavy striping. Imagine that blown up to about 2x2 ft. 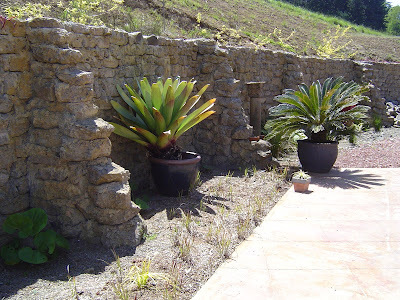 I have picture envy almost more than plant envy after reading this post. Do you use a digital SLR camera? You are so right Stephanie! The Aeonium does look like a giant flower! I put it in a glossy brown pot, the color really sets it off. Jane - you are too kind, my camera is a point and shoot antique! Seriously. We bought it years ago when Sony had just released the 3.2 mega pixel! Now I don't think you can buy one less than 10. The diffused light in the green houses really helped the photo quality. A new camera is on my birthday list! wait - IS yours a Dranunculus, or some other awesome Voodoo lily? Oh! 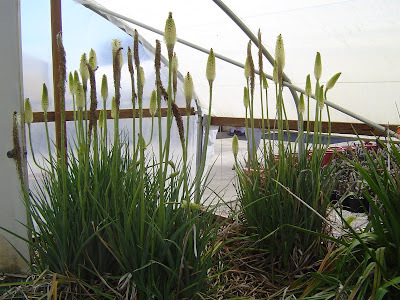 I thought of you today - ALL of my phormiums are blooming, all at once! This has NEVER happened before. Trying to photograph them; it's kinda hard. Thanks Germi! Mine is actually a Voodoo Lily Sauromatum venosum, or so the tag said. It is so beautiful right now...way bigger than last year. I swear today is the day it bursts open, I almost wanted to bring it to work with me. Oh I hope you are able to photograph the Flax! How many different colors do you have? Do the hummingbirds just love them? Mine one that bloomed was a hummingbird magnet.